Investigate and compile reports on incident involving fire. This course is part of the training for deck and engineering officers who wish to qualify for a Certificate of Competency and crew who are designated to control firefighting operations. 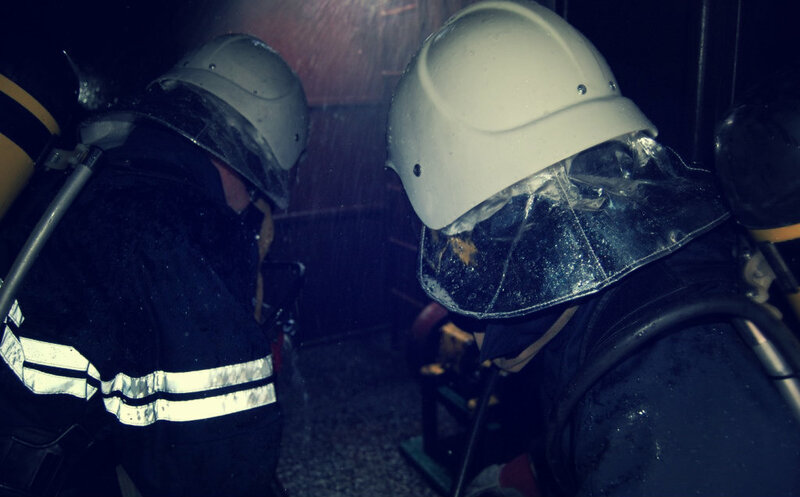 It covers firefighting procedures at sea and in port with particular emphasis on organization, tactics and effective command including liaison with shore-based firefighters. It also covers topics such as ventilation control, hazards involving dangerous goods and the effects of firefighting water on ship stability. 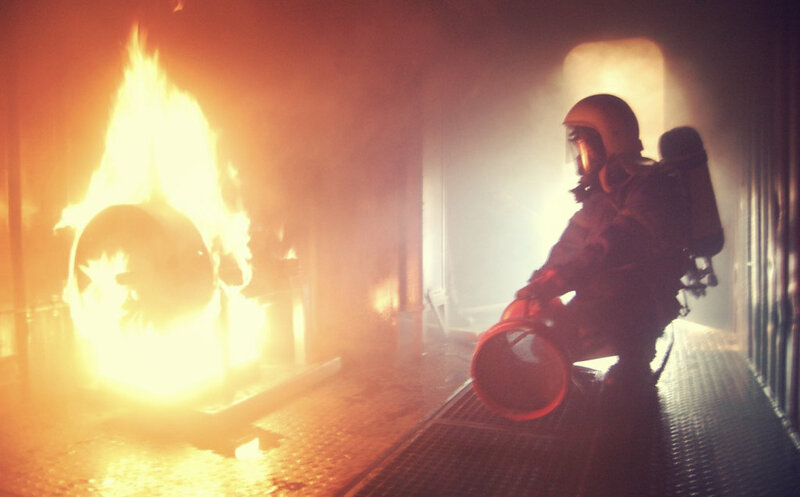 A variety of practical exercises involving fighting fires of different types and intensity are included. 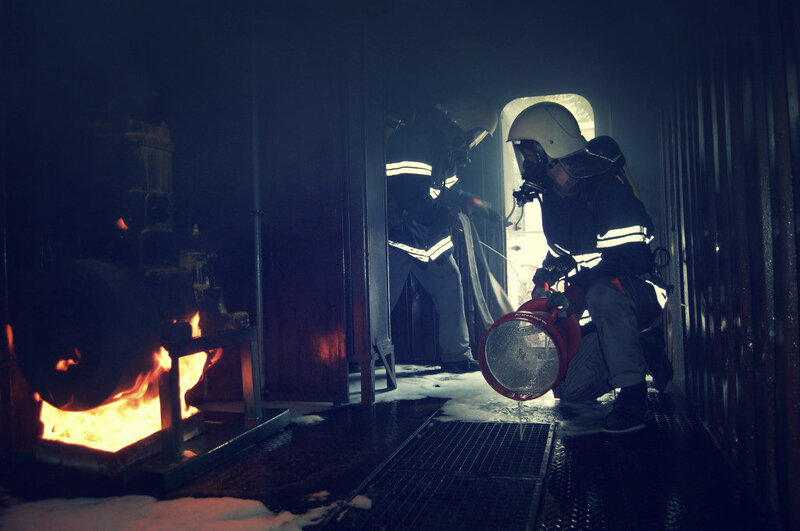 Delegates must have successfully completed a Fire Prevention and Fire Fighting (Section A-VI/1-2 of the STCW Code) or Basic Safety for all seafarers. N.B. There are physical aspects of this training. 4 Days. The course is a full 4 days program and attendance for the whole duration of the course is essential in order to be deemed competent. 2 Days. The course is a full 2 days program and attendance for the whole duration of the course is essential in order to be deemed competent. The Instructor meets you at 0830 in the Hall of Academy . Two coffee breaks. Please arrive in good time for your training course and allow an extra 10 minutes for check-in on the first day. Late arrival will cause inconvenience for others. KMSTC, (Kherson State Maritime Academy – 20, Ushakova av. Kherson, Ukraine) Delegates will be registered in the Academy hall. Some of the courses may involve a degree of physical and mental stress. Therefore delegates will be required to present valid Medical Examination. Attire – change of clothing, towel, underclothing and socks of non-synthetic materials and long sleeves. Please inform us if you have any special requirements for your training with us here at KMSTC, for example (physical, religious, dietary requirements) we will assist where necessary. Participants will demonstrate/explain/identify their level of knowledge, skills and understanding through oral and/or written questioning and practical activities by our qualified facilitators. Students are assessed on their ability to successfully control firefighting operations. All trainees who find themselves deemed ”Not Yet Competent” have the right to appeal that decision. All appeals shall be directed, in writing, to the Administrator who will support your appeal process. Where participants believe that they have been treated unfairly, unruly or unjust by any member of staff whilst attending a KMSTC run course, or whilst having contact with KMSTC, they should express their concerns in writing with assistance from the administrator. Approval: Approved by Ukraine Administration.